It is known that the cryptocurrency industry is growing rapidly. The interest in learning and exploring cryptocurrencies is rapidly increasing as well as the number of people worldwide who made a decision that it is time for them to make their first cryptocurrency investment. If you are one of them – or if you are for now just studying cryptocurrencies, you may found most of ICO (Initial coin offering) relevant information in this Cognida Network review. To make your first investment (and be proud of yourself) it is necessary to first explore the cryptocurrency you want to invest. Although the investment can be done in the currently successful cryptocurrencies (that has their own blockchain technology) for newbies, it is the most common (and wise) case to make the first investment in some of ICOs which have great expert reviews. Regardless of how much knowledge and experience you have about ICOs, everyone agrees that the investment must be made in the ICO(s) that have the potential, the top-notch idea, and the team of experts working on that ICO project. It is very important that the ICO you are interested in offers a solution to the real market problem and whose success would make cryptocurrency market better place. 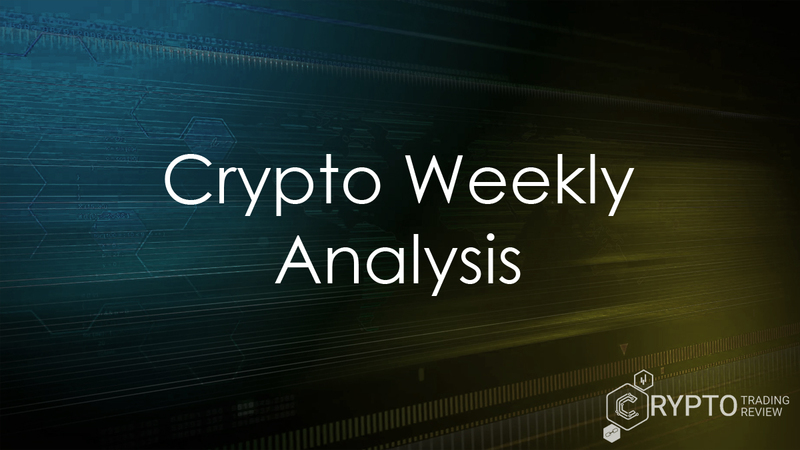 This means that it is more than desirable that the ICO who you are investigating and analyzing, by emerging at the market, has potential to solve some of the main problems of cryptocurrency industry – if not all of them (which is hard to achieve to any ICO). One such problem is the security policy issue when using cryptocurrency. This is the biggest problem for legal entities (enterprises) because for them transparency of transactions and the security of their data it the most important factor in every aspect of doing business – especially when it comes to finances. This Cognida Network ICO review will introduce you to the ICO that provides a solution to the enterprise-cryptocurrencies related problem. All of the information will be provided to you in a simple yet professional and practical way to help you find out all the most important facts and information about ICOs in general while giving you review about Cognida ICO. Cognida is an upcoming ICO that plans to provide data services as blockchain agnostic data integrity and management platform, which means Cognida Network is not blockchain but a service that enhances existing blockchain problems. This ICO is developed by Windmill enterprise (which is Cognida’s developer in the first place). Windmill enterprise is Delaware C Corporation and is created with the purpose for Cognida project. In addition, Windmill is an integrator of enterprise applications on the Cognida platform and is currently contributing to Cognida open source platform. The main purpose of Cognida ICO is to be a non-profit Network and, as such, connect all industries to achieve mutual interaction (communication) between multiple cryptocurrencies. What must be noted at this stage of review is the fact that Cognida ICO focuses on allowing the control of data retention and maintaining transparency. Now let us summarize the Cognida ICO general information, and then we will go through the analysis of Cognida team and advisors. Cognida is an enterprise network service that is designed to help enterprises grow and help them manage multiple blockchain networks. This would enable them to hold ownership, data control and transparency at the same time – with the aim of eliminating certain factors that prevent the merging of enterprises with blockchain. 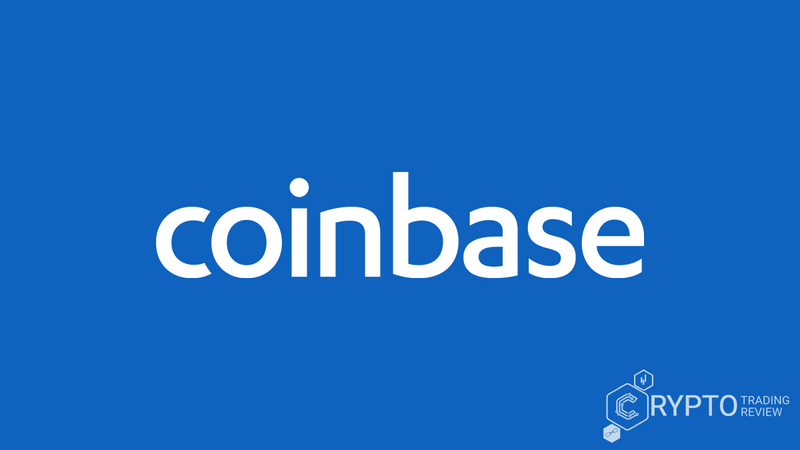 In other words, this cryptocurrency is an open-source platform that allows distributed data to interact with different blockchains, and all occur within secure protocols used while accessing data due to the use of script-based programming systems. If you frequently track, read, explore and are looking for new information about the new ICOs which appear at the blockchain market, you’ve probably noticed that almost every ICO review contains an overview of the issues in the blockchain world and shows how some of ICOs plan to solve these problems – if they plan to do so. By doing so you come across a number of common problems and different (often-similar) ways of how these problems could be solved with new blockchain technology. Now here is why Cognida Network is interesting and special. The Hype of this ICO is currently relatively low, and for that reason, some for fun call it Incognito – because they are currently in the initial launch phase until mid-June 2018 so they do not have high hype in the media and publicity). Although this ICO hype is low, we still claim that this project has a great potential, precisely because of the great potential of this ICO team and design placed by team and advisors who have experience and have proven their abilities in this field. Just imagine what opportunities may be created in blockchain world if Cognida & the Windmill Enterprise succeed in achieving the set of goals that are written in Cognida whitepaper. Even on the front page of a whitepaper, Cognida points out that this ICO is a blockchain agnostic of integrity and management platform. The whitepaper was released on April 13th, 2018, and the first item that Whitepaper handles/describes within an ICO whitepaper is Cognida technology and addressing the enterprise-blockchain disconnect. Cognida solves these disconnects by enabling enterprises to benefit from the advantages of existing blockchain technology to address their growing security and privacy challenges, and Platform will be released to an open-source foundation at the launch of the Cognida Service Network. The following image contains problems that Windmill Enterprise has recognized as the main and key issues facing the enterprise blockchain sector. As the picture shows, the enterprise is characterized by being known and trusted, to have centralized services, hierarchical organization, and budgeted services. On the other side, a blockchain is characterized by being anonymous & trustless, to have decentralized services, is non-hierarchical and has volatile cryptocurrencies. It is noteworthy that the differences are indeed very strong and sharp, so we can say that the task set up in front of Cognida Team and Advisors is truly great and enthusiastic. However, such project objectives have the potential to achieve the desired change in the blockchain and cryptocurrency market, which is why we should give the opportunity to such projects in order to see their true market potential. Some of the great problems of enterprise blockchain sector are that Blockchains are inherently anonymous and their transactions are performed in a trustless manner, services and ledger data are decentralized and distributed across anonymous locations, enterprise security administration is done in a hierarchical fashion while blockchain security is not natively hierarchical, and the fact that volatile cryptocurrencies present challenges to enterprises with fixed quarterly budgets and can require sophisticated crypto-trading skills to offset volatility. We suggest you to keep reading this review our because it has a lot more to show you. The problems encountered by all blockchain participants have an effect on Cognida Network. Some of the issues are directly related to the security of using any blockchain/cryptocurrency service, and some are related to issues such as administration, authorization, and so on. Here it must be emphasized that Cognida ICO is not the blockchain but the main purpose of this ICO is to solve the existing problems related to blockchain technology and its effectiveness and safety. Problem breakdown is therefore directly related to solving problems with blockchain services because Cognida focuses directly on simplifying and improving blockchain, thus serving Cognida service to all other participants who are in any way connected to cryptocurrencies (and those who will be). In other words, we can say that Cognida builds a business of blockchain technology rather than launching a new blockchain. Its goal is to establish open source ecosystems to rationalize the blockchains of everything dynamic that is now awaited in the market today. The main problem that needs to be addressed in the entire blockchain industry is planned to be solved by the Cognida ICO Network. The most important way to accomplish these goals is by removing a single point of failure by using distributed blockchains that have immutable properties and allowing multiple stakeholders the ability to interact and retrieve data. When it comes to Problem Breakdown, Cognida Platform core features might be viewed as problem breakdown strategies. They are blockchain agnostic, distributed permissions, trusted relationships, secure interaction with service providers and the familiar administration functionality. As the more detailed information about Cognida problem breakdown you may find in Cognida whitepaper, we will present you Cognida agent core, blockchain services and service interface, subscription services, securing enterprise assets, service network and device authentication few short words. These technologies will be explained in more detail below, so stay tuned! It is precisely Cognida ICO technology that has potential to offer the solution of main blockchain sector problems. If you feel like stop reading this Cognida Network ICO review you can relax – now comes the fun part! What Cognida does differently from other ICOs is the fact that it is based on the architecture that can run on servers, PCs, tablets, and other devices. It offers a flexible programming environment that is script-based and template driven. As described in the section above, Cognida technology is what makes the problem breakdown that interesting. In order to achieve these ICO goals, Cognida through platform core features aims to solve crucial blockchain-enterprise related issues. Cognida solution is intended to be used in healthcare data management, a restaurant chain, and remote generator. Cognida technical whitepaper has three use cases explained with visual illustrations, so we bet you will find that whitepaper sections interesting. Explained healthcare data management use shows you an example of a permission-based information sharing platform across multiple organizations and applications, users and devices; Restaurant chain use section explains how restaurant may utilize the Cognida Platform to integrate information from multiple systems into permission-based subscriptions that can be shared across franchise owners, managers, and vendors; and finally, Remote generator use whitepaper section will go more into detail about how Cognida Platform enables to incorporate some form of electronic monitoring. For example, the enterprise will not have to choose one blockchain with the built-in compatibilities in this ICOs technology. Cognida platform solves the issue of distributed permissions by removing a single point of failure by using distributed blockchains that have immutable properties. It makes interaction with service providers secure for every single enterprise. We have already been talking about the Cognida agent core. In this section, we might say that the agent core is used across the Cognida Platform to establish customized service interfaces. The Cognida Agent Core establishes the heart of the Cognida Service Interface and utilizes its translation capabilities to connect to a public or private network API and transform API operations to a target device or service. This Platform has a flexible subscription services module which incorporates the Cognida Service Interface, which offloads authorization, authentication, and security operations and connects to document databases and messaging services on a common API. Open source library offers tools for enterprises to administer public/private keys within their organization to secure devices and user accounts on devices and the security is ensured throughout network which is the approach that enables enterprise administrators to enforce their service policies with Cognida Service Network Vendors, including managing access to subscription data and enterprise assets and enforcing data persistence/deletion policies. And finally, there is flexible device authentication as one of the most important options that Cognida offers – Cognida is adaptive to the environment’s requirements and has functionalities as a combined user and device authentication, the ability to detect tampering on a device, and many more. Now let’s see how these technology solutions may apply to real market and what is the real market use of described ICO solutions. If after reading Cognida review up to this point, you think it is worth considering, we strongly recommend keeping reading this review. We are trying to make it simple and fun to read this text (as any other at this portal). After reviewing the basic information about Cognida ICO Network we can now summarize all the most important goals and intentions of this ICO. To simply put it, Cognida ICO purpose is to enable the decentralized blockchain insurance system to be integrated into the existing infrastructure of enterprise worldwide. As described in Windmill whitepaper, ‘’Cognida ICO Service Network Interface can be leveraged to connect to trusted service networks where they can administer third-party cloud services from a single interface, enabling administrators to manage privacy, access, and security of their data on remote systems through a unified platform’’. Other blockchain platforms also recognize the problem of decentralization that companies encounter while working with blockchain technologies. Therefore, each blockchain organization offers solutions to its users so that they may successfully overcome this problem. But, the purpose of Cognida ICO is to bridge this gap and to provide blockchain organizations and enterprises to never face this problem again. Very briefly and simply said, the purpose of Cognida is to preserve blockchain integrity throughout the world and to help businesses to maintain and administer service relationships with trusted service providers. Cognida enables businesses to try all the benefits of the positive side of blockchain technology while retaining a high level of data security and an optimized (or rather preferred) level of privacy. When talking about Cognida MVP (Cognida product), as an enterprise data management platform, Cognida has a private demo MVP which is planned to be launched on the 20th of July, 2018. Let’s see if Cognida has its whitelist and meet team and advisors – the following review contains the most important information! In the case of Cognida, hype in the media and publicity is currently very low, for what reason this ICO is not as popular in the moment of writing this review to have its own whitelist. But let us give you some extra information! It is important to know that Cognida’s settlement engine manages exchange to other tokens or currencies needed to facilitate the use of the platform. Cognida Foundation aims to issue the COG cryptocurrency in order to provide a cryptocurrency payment method for enterprise customers to utilize to pay for settlement services, and thus helps to overcome one of biggest gaps when it comes to the blockchain. COG is the currency that supports ongoing services offered by the Foundation, including settlement network oversight, open source development, and administration. The truth is that Cognida doesn’t say much of token and token sale details in whitepaper but there are some other places where it is possible to read more about it. For example, you might want to see roadmap details (btw, MVP is not publicly available at the moment) in the following paragraphs of this Cognida review to see more information about the most important milestones. The Cognida/Windmill team consists of executive team members, lead developers/architects, development team, and advisors. As described in Cognida whitepaper, executive members (Windmill Enterprise leadership team) are Michael Mathaway, Sam Onat Yilmaz, Wayne Lawler and Bing Byington. They are all co-founders of Cognida and members of Windmill team (which, as we pointed out earlier, founded Cognida ICO in the first place). Michael Hathaway has always been at the heart of High Tech when it comes to literally every electronic revolution. For example, he was a technical contributor during the early days of Ethernet and ATM network switches, switches, culminating in developing the first gigabit-capable Internet packet forwarding engine for a DARPA project while working at BBN. His greatest success was achieved in the area of securing a high level of security of transactions over the Internet. Today, this kind of information management platform that assigns tokens to users and software applications, providing parameter access to Internet access data, the core of applications in Industrial IoT and agriculture sectors. The most important fact is that Michael Mathaway all of this knowledge had moved to a new project – the Cognida ICO Platform. He enters this ICO project with the attitude and mindset that the incorporation of blockchain into enterprise data security is the foundation of yet another electronic revolution (as it has been pointed out, he has so far participated in every electronic revolution, so it is expected that the same success will be achieved in blockchain area improvement). Wayne Lawler (Cognida ICO Network co-founder as well) after more than 30 years of experience in managing high technology companies (e.g. IBM, Dell, HP Enterprise, Information Xchange, Flextronics and others) in this ICO project has shown his ability, knowledge and skills to make business transformations and lead enterprises to success unimaginable scale. Bing Gyington, on the other hand, is known for setting up a huge number of successful enterprises. But, what differentiates him from other entrepreneurs is the fact that the idea for each of his projects was born on the basis of market needs, not because some business activity at the time of opening a business was profitable. Profit was not the ‘main’ reason for opening a business, but the main purpose was solving fundamental market problems and finding solutions for them. Bing Byington is a serial entrepreneur creating businesses in the Mobile Wireless Digital Imaging and Healthcare sectors. His healthcare, wireless, and technology experiences have led him to his clear understanding of the need to utilize protocols layered on top of a blockchain to create platforms for delivering enterprise solutions for a variety of industries. 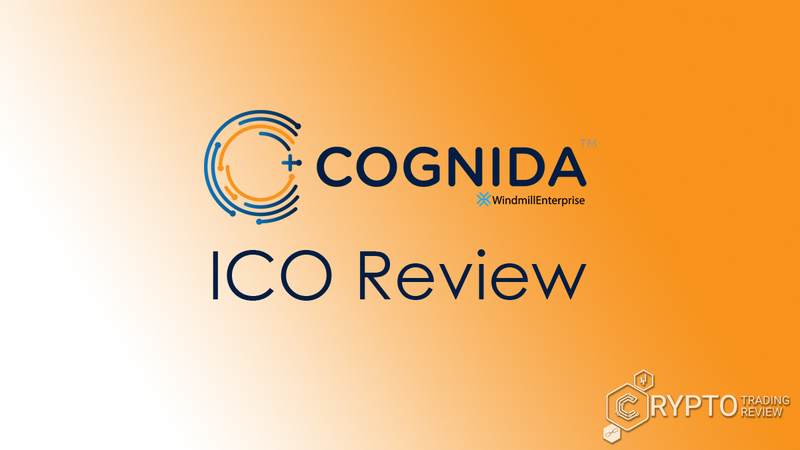 It can be concluded that the Cognida team members are experts in their field of activity and that within the Windmill enterprise there are some of the biggest experts in the blockchain area in which Cognida is located. In other words, Cognida ICO team members are experts in solving problems that are set in front of this ICO. As an introduction to advisors paragraph, we must say that we were surprised by their experience and expert knowledge which they bring into this ICO! Well known advisors of this ICO are just one of the good things about this whole story. The most important advisors are Dustin Byington and Oliver Birch (Byington the president of Wanchain and Birch the vice president of Wanchain). It is important to note that none of these advisors are token sale experts, but the fact is that they have token sale experience (for example, Oliver Birch’s knowledge could significantly contribute to token sale). Cognida has not two but three advisors and the third is Steve Sprague, the CEO, and founder of Rivetz, the expert in the application of trusted computing technology, which says a lot about the potential of Cognida success at the real market and the potential of Cognida service for real users. It is important to mention that he is a popular speaker on cybersecurity and trusted computing. For that reason, he is in the boss when it comes to ensuring the security of Cognida network. Oliver Birch currently works on the project in expansion and is in charge of conducting clinical trials for pharmaceutical companies. He works within MeDiNova – the leading SMO in recruiting large numbers of subjects within a short time frame, providing high-quality clinical trial data and maintaining high subject retention rates. Dustin Byington is one of the most important advisors for this ICO project. Now you might be wondering what might be so important in his experience and knowledge that we consider him so important to this project. Well, his career is known by always focusing on the fact that the solution to the problem is not solving the consequences of the problem but finding solutions for its cause! Does this remind you of Cognida? Good if it does – it means you understand the main purpose of this ICO! Dustin Byington’s conclusion is that that the problems in some cases (as banks or blockchain) are systemic and that solutions must come from outside the existing system. In other words, his contribution to this project, its investors (as well as those who are yet to invest in Cognida) and the blockchain industry and enterprises is in solving the fundamental problems of the blockchain industry. Cognida has about 216 Twitter followers and we must say – it is surprising how much it has been engaged in its tweets – in about few times daily with new fresh information and news. Cognida has near 1,000 members at Telegram at its official announcement channel and more than 9,000 members at Cognida Telegram page. When it comes to Reddit, Cognida has (only) 42 subscribers but it is noticeable that just as Cognida is always available and present at the Twitter profile, we can say the same with Reddit (Cognida place posts few times at daily basis). When it comes to Cognida ICO publicity and media hype we must take into account the fact that its hype is relatively low compared to other ICOs currently available for token purchase, but the overall rating for is positive. Some explain this by the fact that as a fresh new ICO with such an enthusiastic idea and goals there is the possibility they will not be able to achieve those goals. For that reason, so far, most people focus at ICOs that has a different type of crypto goals (but there is no guarantee that any of them will reach their goals no matter the current hype rate). But we all should be able to consider the fact that it is very hard to reach huge publicity and the media hype if advisors and team members are not as popular in the crypto world as some other people who got their ICO attention and worldwide popularity by collaborating with other well-known cryptocurrencies. Our sincere conclusion is to give this project a chance – there is no doubt that the success of this project would make a difference in using cryptocurrency for all of us. By the time of writing this review, Cognida ICO token pre-sale is open and has 23 days and 9 hours left. To see full roadmap look at the following picture. As you can see, at June 2018 the pre-sale is open and will be closed at July 2018. At June 2018 source code contributed to Cognida Foundation will be open and in the same month, the on-boarding commercial service will start as well. On July 2018 pre-sale will be closed and the beta network with enterprise will be launched as well as customer application and the Cognida ICO. ICO ends on August 2018 and the beta clinical trial app will be launched. To be more precise, at June 15 starts the token pre-sale; at June 20 the source code contributed to the Cognida Foundation opens, and finally, at 25 June 2018 begins on-boarding commercial service providers. Next, on July 15th, the token pre-sale ends and five days after (July 15) Cognida ICO will launch the beta network with enterprise customer applications. July 15th is the same day when Cognida will start crowdsale and it will last until August 10 when crowdsale ends. From August to September 2018, the beta clinical trial app will be launched. For more information about pre-sale and crowdsale you may read in the following text of this review so stay tuned and read it carefully! In addition to just given information you should take into account that Cognida pre-sale lasts for a month (ends in less than 24 days from now) and the public sale which started on the 20th of July and will last until it’s closing on the 8th of August which means that the public sale will last less than a month. Take your time and look for general information about token pre-sale information in this review. It will surely help you make a better ICO investment plan for the next few months. The fact is that Cognida is doing something that does not come up every day. By solving some of the biggest problems associated with blockchain and cryptocurrencies, Cognida has no direct or real competitor/competition. The current goal is to enhance user experience in this sector. As an IT business solution, Cognida has real-world use product (Cognida MVP) and many team members, consultants, developers/architects and other Cognida participants have decades of IT experience (at Hexacta, Aeropuertos Argentina, BGS System Inc., IronBridge Networks, Swales Aerospace and other IT companies). Cognida token sale starts in July and ends in August 2018 but there are no exact dates published. Fundraising goal is 20,000,000 USD (hard cap). Cognida token type is ERC20 which means COG tokens are from Ethereum blockchain platform. As you probably already know, ERC20 stands for ‘Ethereum Request for Comments’ and represents a standard and guidelines (9 of them) for when someone wants to create his own token. Therefore, the ERC20 is a protocol that sets commands that token should implement, and the ERC20 token expansion at the end of the year 2016 is the product of the huge rise of ICOs number on the Ethereum blockchain as a result of the increased value of Ether. When talking about Cognida ICO total tokens, Cognida has 550,000,000 COG ERC20 tokens, of which 54% is available for token sale (token distribution is shown in the picture in the following paragraph). This ICO at the moment doesn’t have minimum nor maximum personal cap nor ICO token price settled. If you are considering investing in this particular ICO, in this stage of exploring this ICO is good to know that Cognida (COG) tokens which are stored in a COG wallet can be transferred into the appropriate cryptocurrency accounts to ensure sufficient coins are present to support ongoing transactions. Third-party service providers will charge their own fees for services, and these will be added to the enterprise’s projected and ultimate cost in COG Tokens. Keep reading and find out more about token and funding distribution and finally – the most important part – conclusion of our Cognida Network ICO review. Cognida has 550 million tokens available of which 33% goes to public product token offering, 21% to pre-sale, 16% for the foundation, 12% per incentive team building, 5% for advisors, 5% for future developers/contributors, 5% for purpose of allocation to future partners and the 3% for airdrop. (Picture below). As shown in the picture above, Cognida has 21% ERC20 tokens available for pre-sale and 33% public product token offering. In conclusion, we must say that Cognida ICO is one of the best ICOs that really has potential ideas and shows us the cost-effectiveness of the investment. Although we have already mentioned the average rating of hype in media and publicity of this ICO, Cognida has great potential in all aspects of this Network, which is why we have chosen to present you this particular ICO – among others great ICO project. In the end, we can see most of the Cognida ICO potential for success from the words of its advisor. “With the launch of the Cognida Network as well as the Cognida Foundation, we will equip companies with more tools to secure digital assets and shared information in the enterprise and in the cloud. Our platform and network establish a blockchain secured service layer that runs on top of the Internet, ensuring trusted service relationships, and putting the enterprise in control of who has access to which data.”, Michael Hathaway, Co-Founder, and CEO, Windmill Enterprise.